Everyone loves a good taco dip and this fantastic recipe really fits the bill. 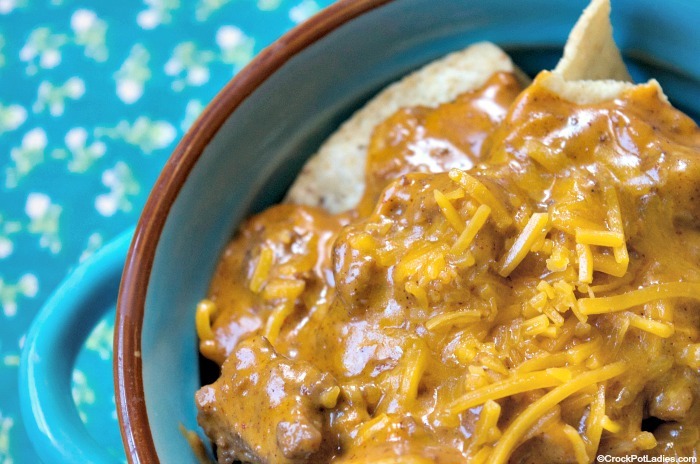 The base of the recipe is American cheese because it just melts so good in the slow cooker. Then ground beef is cooked up with some onion and added along with some canned chili, taco seasoning (may I recommend our Homemade Taco Seasoning Mix?) and some chili powder for even more depth of flavor. 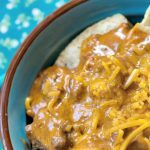 While this recipe is a dip that you can serve warm straight out the slow cooker and let your party guests dip their tortilla chips right in the slow cooker. I actually like to spoon the hot dip over bowls of tortilla chips and eat at yummy nachos! This recipe really isn’t spicy so the kids will really like it, but if you are serving to an adult crowd feel free to add some spice to it. Fresh jalapeño peppers – Add 1 or 2 diced diced jalapeño peppers and cook them when you cook the ground beef and onion. Keep in mind that the seeds and membrane is where most of the heat in peppers lies. So removing those before adding to the dip will still give you plenty of spice. But to kick it up a notch leave the seeds and membrane in the peppers. Hot sauce – A dash or two or twenty of your chipotle peppers in adobo sauce kicks it up a notch. Add hot sauce a little at a time near the end of the cooking, taste and then add a little more until it is as spicy as you like it. Remember you can always add more but it is hard to take the spice back out! Chipotle peppers in adobo sauce – One of my favorite ingredients is chipotle peppers in adobo sauce. Chipotle peppers are just smoked jalapeño peppers and they add some lovely heat with a hint of smokiness to any dish you add them to. Open the can of chipotle peppers and remove one or two along with some of the smoky adobo sauce that they are canned with, give the peppers a quick chop with a knife and add them to the dip. YUM! This quick and easy recipe is a hit with any large group (kids especially). Serve with tortilla chips or crackers. Add the ground beef and diced onion to a large skillet and cook and crumble on the stove-top until the ground beef is browned and the onions are translucent. 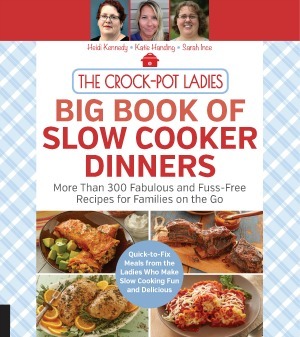 Drain off any excess fat and add the cooked ground beef and onions to a 4 to 5 quart slow cooker. Add the remaining ingredient to the slow cooker and gently stir to just combine the ingredients a little. Cover and cook on LOW for 2 to 3 hours, stirring every 30 minutes to ensure the cheese is melting evenly. 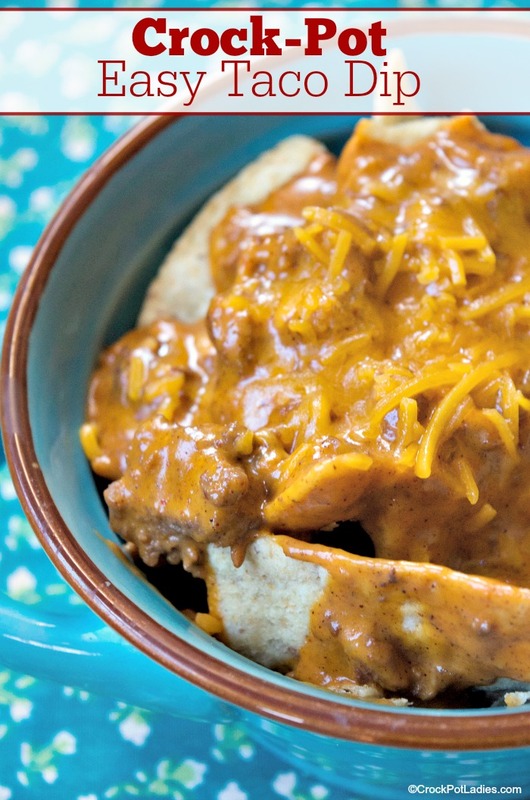 Turn slow cooker to the WARM setting to keep the dip warm for serving with tortilla chips or crackers. This recipe is best cooked on the LOW setting as the HIGH setting is more prone to burn the cheese.